Constantine Nikas (Robert Pattinson), his hair freshly bleached platinum, sits on a sofa watching Cops with the stoned 16-year-old unwittingly harboring him from law enforcement. We’ve already seen him commit a bank robbery and break a man out of the hospital, and when a suicidal woman on the screen gets tackled by the police in a violent body slam, he winces and changes the channel. “I don’t want to watch them try to justify that,” he mutters, visibly upset. Good Time, by New York duo Josh and Benny Safdie, is at times a brutal movie, but its protagonist is not a brute. Connie’s a criminal, but not a violent one — he never wields a gun, and his bank robbery is conducted silently through passed notes under teller windows. At his side is his mentally handicapped brother, Nick (played by co-director Benny) whom Connie loves with ferocity that inevitably proves to be destructive. Connie tears Nick away from his therapy sessions, preferring to build up his brother through a not-so-honest day’s work. It’s clear Nick doesn’t really do much, but Connie insists that he needs him, and that his presence is vital and necessary, and he might not be wrong. When the cops catch up to them and Nick winds up in Rikers Island, Connie embarks on a mission to bail him out that grows more desperate and irrational the longer it bulldozes forward into the night. 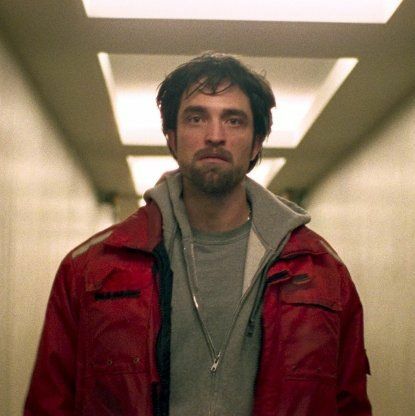 Good Time is a more propulsive, violent thriller than the Safdies’ last film, the poetic and raw Heaven Knows What, but the heart at its center is every bit as humane. It takes its time to establish the dysfunctional love between the brothers before diving into neon-hued squealing electronic chaos. Most of this is on the shoulders of Pattinson, doing some of the best work of his post-franchise-journeyman career. His Connie is both capable and foolhardy, empathetic and scuzzy in the extreme. He believes he was a dog in a former life, and so do I: There’s a loyalty and tenderness to him fighting with his instinct for self-preservation. The more people he has to justify screwing over, the more Pattinson’s face hardens; on some level he knows the spiritual hole he’s dug for himself, but he’s unable to change course. The directors and their cinematographer Sean Price Williams never met a neon tube they didn’t love, and they light up Pattinson in every shade of pink, blue, and black light, and TV-static glow. Under orange street lights and in vacant amusement parks, the film’s vivid nighttime bleeds luridly across the screen, amplifying the hallucinatory quality of events that feel like they could tip over into the fantastical at any moment. It’s perfectly matched with the score provided by Oneohtrix Point Never’s Daniel Lopatin, which nods to Tangerine Dream–style VHS thriller soundtracks of yore while going someplace far more inventive and expressive than most current imitators. Lopatin’s anxious squiggles of melodies and sonic assaults give us as good a sense as any of what it feels like inside Connie’s head. Jennifer Jason Leigh and Barkhad Abdi pop up in brief roles — Abdi’s appearance seems especially truncated, and bizarrely anonymous for a very recognizable Oscar nominee. But it’s Taliah Webster as Connie’s teen-girl ally who stands out with her seen-it-all unflappability, as does Buddy Duress as a fellow criminal Connie stumbles into a partnership with. And Benny Safdie’s performance as Nick is a tightrope walked successfully, dodging every cringe-y pitfall of actors portraying the disabled and bringing down an emotional hammer that bookends the film. For all its throttling thrills, Good Time is a film about a destructive love — and loving someone despite not having the right kind of love to give them. Ignore the deceptively convivial title: This is the kind of thrill that sticks.